Once you bring home full baskets of fresh fruits, berries and vegetables from the garden, market or store, at least part of the fresh harvest should be prepared for longer storage, so you can enjoy vitamins during the winter. The best way to preserve vitamins and other beneficial nutrients is refrigeration. If you are just about to fill in your refrigerator’s freezer for winter, here are some useful tips. You can freeze almost anything, from garden goodies to fresh or processed meat, fish and mushrooms. It is not only the healthiest, but also the easiest way to preserve foods – all you need are refrigeration containers or bags for storage of products. "The demand for refrigeration tools every year grow in the middle of the year – in July, when fresh harvest is the biggest, and Lithuanians fill their refrigerators with ripe fruits and vegetables having the highest content of vitamins. An important advantage of refrigeration is that, unlike preserving, you can freeze berries, vegetables or fruits in any quantities or portions. Maxima stores offer more than 60 different types of containers and sealed bags for freezing from 125 millilitres to 3 litres, so you can accommodate anything from several pinches of herbs to a large amount of food", says Maxima Commerce Manager Vilma Drulienė. She notes that the most popular refrigeration containers are about 0.5 litres, and most popular bags among Lithuanians are slightly bigger, 1-1.5 litres. Refrigeration containers are commonly used for soft fruits all of which are consumed once opened, and vegetables, fruits and meat are often placed in sealed bags. However, there is no single rule about which packages to select for food freezing. If your refrigeration chamber is small, you will save more space when freezing your garden harvest in bags, but containers will allow to better preserve the shape of berries and you can more comfortably serve them on the table after defrosting. Containers with hermetically sealed lids tend to keep odours better, which is especially true for refrigeration of spice herbs and vegetables such as garlic (yes, it can be frozen, too!). Experts from the Lithuanian Maxima point out six things you need to know when choosing to freeze berries, fruits or vegetables. Many foods can be frozen, but not all are worth it. For example, lettuce, radishes, artichokes, eggplants and similar vegetables containing a lot of water will lose their shape once refrigerated and then defrosted, and their taste may change as well. Before refrigeration berries, fruits, and vegetables must be washed well and drained. Microorganisms that cause food to go bad will not die in the freezer, just become inactive, so it is best to consume fruits or vegetables after defrosting within one day – otherwise they become no longer suitable. You should always maintain the temperature of -18 degrees Celsius in the freezer. You can freeze foods faster and better by placing them in a quick-freezing shelf, neat the refrigeration grilles. Later, you can simply move the containers or bags to another place. It is absolutely not necessary to use other preservatives while freezing food, but berries, especially strawberries or cherries, will preserve their shape better if you sprinkle them with sugar. You can also prepare spice sets in your freezer – finely chop the mixture of spices that you like, mix it with butter and keep in the freezer (for example, using a cocktail ice trays or other small bowls). It is not advisable to store long-term storage products in the freezer door, as the temperature varies when they are opened, and larger ice crystals can form. In case of power failure, or when the freezer is off for a while, keep it closed: it can stay without electricity all day long without defrosting. Berries, fruits and vegetables from the freezer should be consumed within 8-12 months. 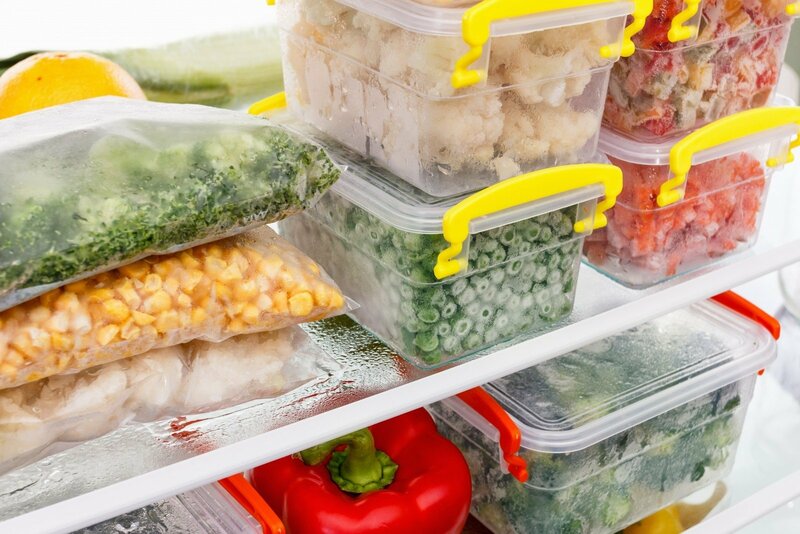 If you take more food from the freezer than you need at that time, you can defrost the rest if it has been stored at room temperature for less than two hours. The strengths of the traditional Lithuanian Maxima chain are low prices and a wide choice of goods, in particular Lithuanian. The networking manager Maxima LT is the largest Lithuanian capital company, one of the major taxpayers and the largest employer in the country. At present, there are 245 Maxima stores in Lithuania employing more than 15 thousand of staff. Its stores are visited by more than 550 thousand customers daily.